Fortunately it’s easy to fix if you doing what you are doing. Do you see the difference? The localhost might be different, it’s probably 127.0.0.1 in your topology file. The workingdir is different for sure and so is the image location. And you might have to check the configs directory structure. I’m also probably using another idlepc value so it’s good to copy yours in the topology file. So how to fix it? Easy! Just copy and paste your information in my topology file and save it. Open it in GNS3 and voila…….a working lab! If you have any questions or think this is useful please let me know by leaving a comment. can someone help please? I am trying to open the lab sim but keep getting this error mssg in gns3 ? I have downloaded the right ios image. Did you get this resolved? 90% of the GNS3 errors are related to filenames, foldernames and/or IOS images. Can you run your own topologies? Did you try editing the .NET topology file to see if it makes any difference? That solved my prob to load the configs , Thanks a bunch !!! When using someone else’s .NET file here’s a little tip I use. "working" and "configs". If you ever want to look at the working directory you know it always in the Project you named. Installed GNS3 successfully,Able to bring routers,possible to switch on routers. But for config console is hanging and not opening? suggest a solution,Pl. Did u get GNS working? Rene you are genius man … wonderful site for students. I dont know if this is the correct place to ask about GNS3. When I open GNS3 and add 2 or more routers (2600 series for example), CPU goes to 100% and the memory too!! GNS3 freeze and my laptop has a low response. You need to right-click the router and select Idle PC value …. GNS3 will search for a value and display it for you to choose. check that in the drop down menu there are values with * next to them – these are the best Idle PC values. Select a value and check your CPU – if the use drops to 2-6 % you have the right Idle PC value; if not, you have to keep searching for the right Idle PC value. I have downloaded he gns3, but IOS image is not there. Please let me know the process and send me the link for ios image. I have to practice some EIGRP and BGP lab. I am a regauler user of GNS3VAULT… Yesturday I made some changes in laptop.. After that its giving bellow error… plz help. Can’t connect to the hypervsor on localhost port 7201: [ Err no 10061 ] No connection could be made because the target machine actively refused it……. First of all thanx for ur lab scenarios. I want to connect virtual box in GNS3 with Windows XP iso. But when i run that iso it gives me error of " Fatal Error System can’t boot ". I also tried virtual box with ubuntu it works fine…but with this windows iso it gives mesuch error.So, whats the problem is there any iso issue…? So can u just give me that link to download that windows iso….or give some suggestion. Thanx in advance. God bless u.
hi .when i downlod any lab nothing is been preconfigured.just got the topology and routers with the interfaces but the ip address not assighned ? !! when i issue reload command on router it fails to reboot even other command do not work so what can i do? this problem comes because the folder of IOS may have some files with names too long…. I have arranged the problem so….my GNS3 works ok.
WOW! Very good tutorial,it’s helpful! Can someone tell me how to open the topology files? do you need version 1.0? I have a working version of 8.7 that I’ve used for awhile. 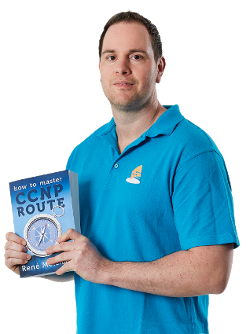 I download various startup file links and “open with” the topology files directly with GNS3 and it only opens with a white desktop on GNS3, no routers nothing. can someone tell me what I am supposed to do? Or do i just need to upgrade to 1.0 to get them to work? I know you may have already figured it out by now, but the newer GNS3 looks to open .gns3 files by default. 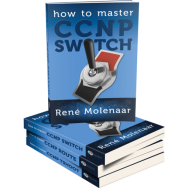 Rene, has gone through most of his labs and converted the files .gns3 files. For the ones that are still downloading as .net files, GNS3 can still open them. You just have to make sure that when you attempt to open a project, the file type you have selected is set to “all files *. *” By default, the file type will be set to “GNS3 project files”, which is why .net files won’t show at first. It’ll open the .net file and then immediately prompt you to allow it to recreate it and rename it into a .gns3 project.